Russia's Sberbank plans to introduce unmanned aerial vehicles (UAVs) with a carrying capacity of up to 50 kilograms (110 pounds) for the transport of cash. SUZDAL (Sputnik) — The Russian Central Bank supports the idea of ​​transporting money by unmanned aerial vehicles (UAVs) and has started talks on this issue with Sberbank, the bank's First Deputy Governor Georgy Luntovskiy said Tuesday. "The idea is interesting in itself. We have already begun to cooperate with Sberbank on this issue," Luntovskiy said during a discussion on cash transportation by drones at the III International Conference Current Issues of Cash Circulation Development. He said it was important to understand if the new system could work more efficiently than the existing one. As for the possible ban on the use of drones by banks, the Central Bank does not consider this necessary. Sberbank plans to introduce UAVs with a carrying capacity of up to 50 kilograms (110 pounds) for the transport of cash and has agreed on the relevant regulations with Russia’s Federal Air Transport Agency (Rosaviatsiya), the bank's Deputy Chairman Stanislav Kuznetsov said. "We plan to reach a carrying capacity of up to 50 kilograms by fall," Kuznetsov said. According to Kuznetsov, Sberbank will need 3 to 6 months to introduce drones. This issue is regulated by the Bank of Russia and Rosaviatsia, he added. "We have already contacted with the Federal Air Transport Agency officials…. Rosaviatsiya regulates the flight of any drone, as well as the flight of any aircraft," Kuznetsov said. On June 15, the First Deputy Chairman of Sberbank Lev Khasis said that Russia's largest bank has tested cash delivery by drone for the first time. In late May, Kuznetsov said the bank could begin trial delivery of cash to the bank's branches in Tatarstan with drones. The cash delivered by drones is put into special containers. If the container with money is stolen, it is programmed to inject paint, which turns the cash into paper. 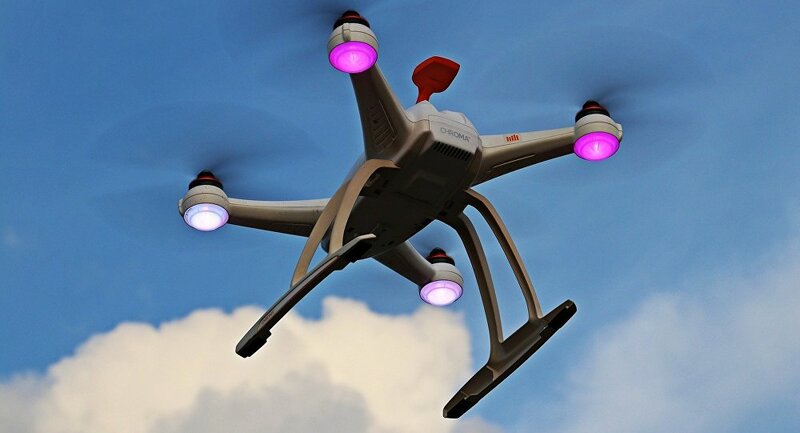 Drone use is allowed in Russia, but is subjected to several restrictions and rules, including registration of flight plans and drones weighing over 250 grams (8.8 ounces).